The days are getting warmer and the nights are getting hotter at WinStar World Casino and Resort. We’re gearing up for Weekends After Dark, THE place to be every weekend this summer. 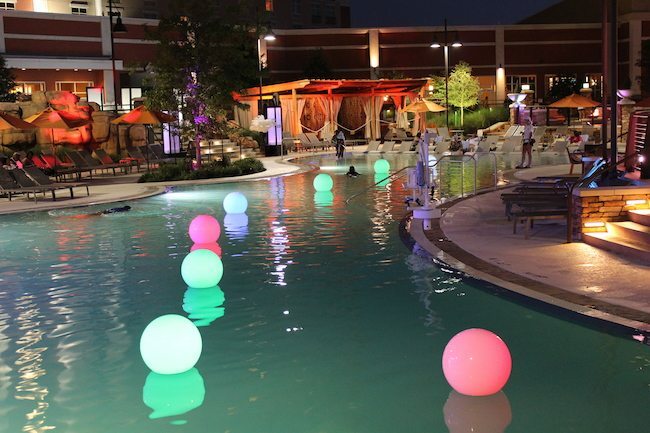 Every Friday and Saturday night, May 5 through Sept. 3, the Resort Pool will open to hotel guests* from 9:00 p.m. – midnight for a poolside blowout. So, grab your favorite swimsuit ‘cause it’s about to get lit. Boots and spurs are all the rage during PBR weekend at WinStar World Casino and Resort. If you really want to be a VIP at Weekends After Dark, reserve one of our VIP cabanas for your crew. Every cabana comes complete with a seating area for four, privacy curtains, pool accessories and a fridge stocked with cool refreshments. Follow WinStar World Casino and Resort on social media, especially Instagram @winstar_world, to see all of the weekend revelry.